Is there any paperwork or document for the mechanical systems of 3503 County Rd, Adjala Tosorontio, Ontario? I need more information about the property at 3503 County Rd, Adjala Tosorontio, Ontario. How ist the neighborhood, location and nearby amenities for 3503 County Rd, Adjala Tosorontio, Ontario? I have questions about the roof, foundation, insulations and mechanical issues of 3503 County Rd, Adjala Tosorontio, Ontario? I need more information about property details. What's wrong with this house? Is this a short sale? Is there any maintenance for 3503 County Rd, Adjala Tosorontio, Ontario? What is this property worth in today's market? What are "closing costs", and how much? What steps should I take when looking for a home loan? What price home can I afford? Is my credit good enough to buy this house? What are the best mortgage options for me? How flexible is the seller on the asking price? How low can I consider offering for 3503 County Rd, Adjala Tosorontio, Ontario? 23 Acres With 500 Ft Frontage. The Mature Tree Lined Driveway Leads Up To The Spacious Brick Bungalow With 2 Car Garage. Breezeway Enclosed With Walkout To 2nd Stairway To Lower Level. Bay Window Gives Great View Of This Property With Open Land Leading To The Woods & Stream Towards The Back Portion Of This 23 Acres. Also Included A Large Utility Building For Owners Choice Of Use. New Roof On The 6 + 6 Rm Bungalow. 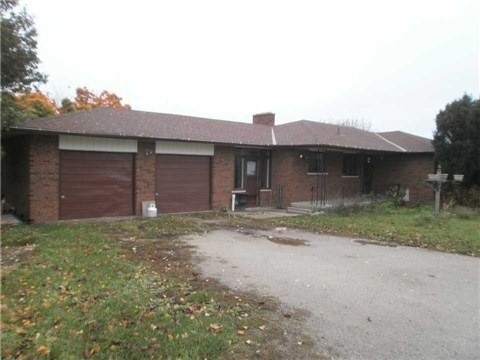 This Property Is Well Situated - 20 Mins To Bolton, 5 Mins To Alliston On Paved Road. School Buses To Various Schools. This Property Is Country Living Close To Services, New Recreation Complex, Honda Canadas 3 Plants, Big Name Stores +.